Marijuana stock fever is in full swing. 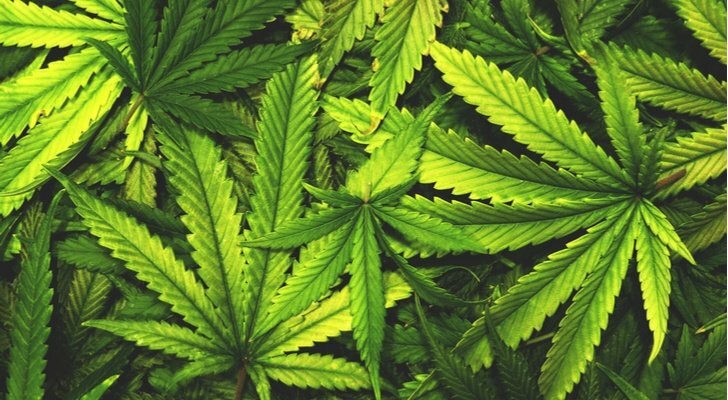 Until recently, just a few major marijuana stocks attracted most speculative interest, with Canopy Group Corporation (NYSE:CGC) and Tilray (NASDAQ:TLRY) leading the charge. Lately, however, it seems that almost every day, a new pot play emerges. If that gives you bad flashbacks, it should. The same thing happened in December 2017 with Bitcoin and blockchain. We even had beverage companies hopping onto the blockchain. Remember Long Island Ice Tea aka Long Island Blockchain (OTCMKTS:LBCC)? LBCC stock ramped up 400% on the news that it was getting on the blockchain; it has subsequently dropped more than 95% since then as Bitcoin enthusiasm has waned. There’s no guarantee that the marijuana stock craze will end up the same way. But regardless, buying low-quality, me-too companies during a speculative boom is unlikely to lead to strong investment returns. So, what’s wrong with New Age Beverages (NASDAQ:NBEV)? Why isn’t it the next Canopy Growth or Tilray? Until recently, New Age Beverages was a tiny, Colorado-based company trying to use that state’s free-spirited ethos to sell a variety of ready-to-drink beverages. Its leading products included the likes of Xing Tea, a line of Kombucha, and a ready-to-drink coconut water beverage. The company’s revenue growth was impressive, as its top line doubled from $25 million in 2016 to $52 million in the past twelve months. However, it had to spend a great deal to boost its revenue. Its operating loss more than doubled from $4 million in 2016 to $11 million over the past four quarters. Clearly the company’s beverages that were not based on marijuana weren’t leading to any quick shareholder returns. The stock fell from $5.74 in May 2017 to $2 in July 2018. Things then went from bad to worse, as the company sold 8 million new shares of NBEV stock for just $1.28 each this August. Those same 8 million shares that raised just $10 million then are now worth more than $65 million. Was the company foolish for selling new stock then? Are the people who are paying $8 now for what was worth $1.28 in August greater fools? Of course, the bulls will say that everything has changed now that New Age Beverages is planning to roll out marijuana-based, ready-to-drink beverages, making it a marijuana stock. But what makes a tiny flyspeck of a company like New Age Beverages special? Neither beer brewing nor non-alcoholic beverages are a particularly novel industry. Within North America, beverages are a highly consolidated space with a few key companies like Coca-Cola (NYSE:KO) and Molson Coors (NYSE:TAP) taking massive market share. If those companies decide to enter the marijuana beverage space, the amount of money they can spend on one advertising campaign would exceed New Age Beverages’ total 2017 revenue. As it is, we’re already seeing other, much-more-well-funded companies jumping into the marijuana market. Constellation Brands (NYSE:STZ), a leading North American beer and winemaker, recently invested several billion dollars in Canopy Growth. Rest assured that when Constellation begins selling marijuana beverages to retailers, it will get far more shelf space than NBEV. Molson Coors is also rumored to be in talks to invest in the marijuana arena. Additionally, on Thursday, shares of smaller beer producer Craft Brew Alliance (NASDAQ:BREW) jumped 10% on rumors that it’s about to launch non-alcoholic, marijuana-based beverages. Craft Brew has already shown an interest in zero and low-alcohol craft beverages. It has launched a number of initiatives in these areas, including serving Kombucha from beer taps in bars. It would be no great leap for the Oregon-based firm to take the logical next step and start making marijuana-based beverages as well. To show just how out of line valuations are getting for marijuana stocks, it’s worth considering New Age’s market capitalization of just over $500 million. Craft Brew Alliance has a market cap of just over $400 million. For a slightly lower price tag, Craft Brew generates more than four times as much annual revenue as New Age. These sorts of statistics may not seem important at the height of a speculative craze, but they certainly will matter once the initial enthusiasm about marijuana stocks wears off. It’s also interesting to note that Craft Brew has important marketing and distribution partnerships with industry leaders such as Anheuser-Busch Inbev (NYSE:BUD). That’s not to say that Craft Brew Alliance is a great buy here either or a great marijuana stock. It’s frankly overpriced as well. Here’s one more pertinent example. The best-run, and not coincidentally the most expensive, major alcohol producer in the U.S. is Brown Forman (BF.B), the maker of Jack Daniels whiskey. Not surprisingly, when you have a world-renowned brand like that, you can charge a premium for your product. The company, which also keeps its costs down, has an astounding 68% gross margin. Over at New Age Beverages, the gross margin is a paltry 21%. And yet, the market is valuing upstart NBEV at 11 times its sales, while Brown Forman, which is the cream of the crop pf U.S. beverage companies, is trading for around seven times its sales. This disparity will not hold. If you had the good fortune to own NBEV stock when it was back at $2 this summer, before it became a hot marijuana stock, congratulations. At the time, it was just another struggling beverage company selling largely unknown branded teas, kombucha, and energy drinks. By all appearances, the stock was poised to continue to decline. But it was rebranded as a marijuana stock, and now the market is valuing it as though it were close to the most successful beverage business in North America. Will its products succeed? Can it control its costs? Will crushing competition arrive soon? There are plenty of questions, and yet the market is pricing NBEV stock as though there is little to worry about before even the first can of its cannabis-based beverages is sold. It’s understandable how these sorts of speculative bubbles occur, but don’t get stuck holding the shares after the party ends. At the time of this writing, Ian Bezek held no position in NBEV stock. He owned shares of BF.B and TAP. Article printed from InvestorPlace Media, https://investorplace.com/2018/10/sell-this-marijuana-stock-before-its-price-collapses/.